We are proud to offer the most flexible financing of any new & used car dealership near Schaumburg, IL. Our mission is to provide a safe, dependable Ford vehicle to suit all budgets. Welcome to Roesch Ford! Our website is designed to assist you from beginning to end. You can view our current inventory, apply for financing, and schedule service all from our convenient Roesch website. Whether you're in the market for our all-new 2019 Ford vehicles or simply need a reliable used car at a fair price, Roesch Ford is your one-stop destination. The 2019 Ford lineup offers the most modern upgrades. 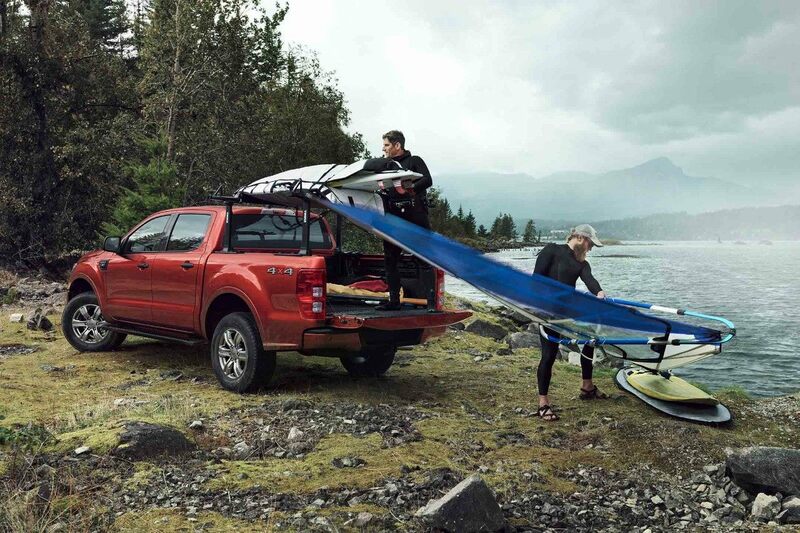 Across our cars, pickups, crossovers, and SUVS, Ford provides improved fuel efficiency, the latest technology, the suavest styles, and the greatest driver comfort. 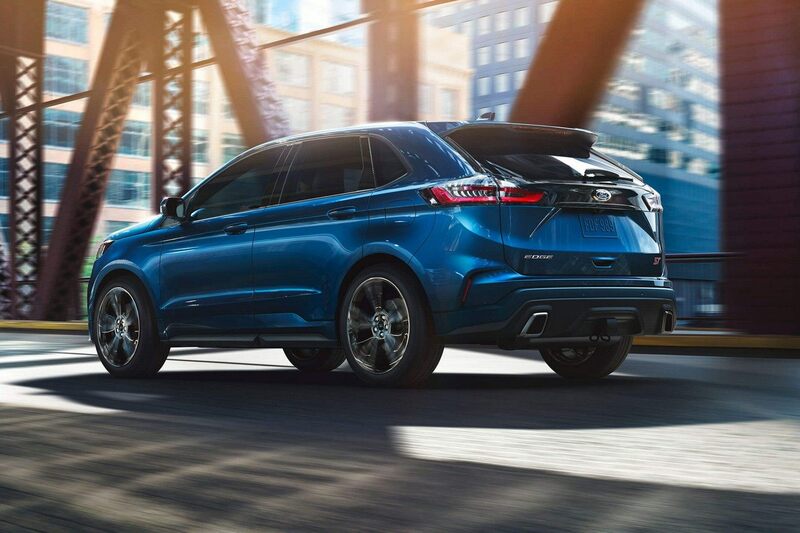 Families love our two-row 2019 Ford Edge crossover SUV for its roomy cabin and zippy performance. For even more room and luxury, check out our 2019 Ford Expedition. Those looking to save at the pump will appreciate our hybrid lineup, including the 2019 Ford Fusion, 2019 Ford C-Max, and 2019 Ford Focus Energi. Headed to the job site? You probably know all about our best-selling pickup, but our 2019 Ford F-150 still holds some new surprises. With new engine options and improved safety features, our new F-150 is truly better than ever. Need help narrowing down your options? Our friendly, experienced Roesch sales team can help you configure the perfect Ford vehicle for you. Whether you want the most powerful engine, the coolest tech, or the sleekest appearance package, your new car can be practically customized to fit your lifestyle. If you're not ready for the new car price tags, fear not! Roesch Ford specializes in used cars, too. We believe every driver near Schaumburg, IL should be able to drive home in a safe, reliable car regardless of their budget or credit score. To start, we price all of our used cars below Kelley Blue Book value. Our finest used cars are our Certified Pre-Owned Ford vehicles. Not just any Ford can become a CPO. Our rigorous process ensures only the best of the best enter the CPO program. This means passing a 172-point inspection with reconditioning as needed for the engine, transmission, steering, exterior, and more. CPOs must also be within five model years and have no more than 80,000 miles. In addition to certifying the quality of these vehicles, CPOs also come with new car perks. You'll have access to financing specials that are not available for other used cars. You'll also get a transferable warranty on the powertrain (7-year/100,000 miles) and general bumper-to-bumper coverage (12-months/12,000 miles). We even stand behind our CPOs with 24/7 emergency roadside assistance. Roesch Ford stands alone among new & used car dealerships for our One Hour Promise. This is our commitment to ensuring your car-buying process is fast and efficient. 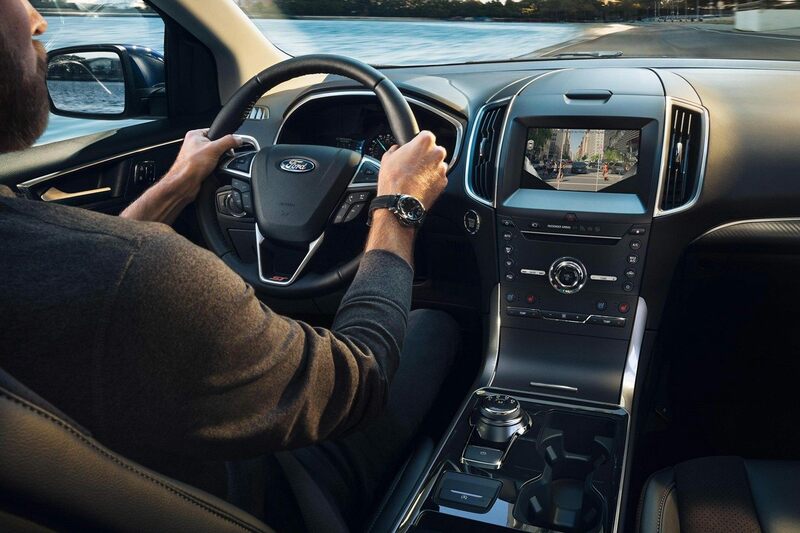 Simply use our online inventory to browse and choose your favorite Ford vehicle—or stop by our showroom and let our friendly sales staff assist you in finding the perfect car for you. Next, complete our online finance application from the convenience of your home or office. Finally, make an appointment with our finance center to ensure we have staff ready and available to complete your deal. We work with all budgets and credit scores—even if you've failed to secure financing elsewhere. We look at your full financial picture to indicate your true budget. You can get a sense of this yourself using our online payment calculator. Not sure whether to buy or lease? We can help prioritize your options to suit your situation. You can also learn more about your financing options in the Ford Credit Education portal. Keeping your Ford vehicle well-maintained will ensure its longevity. 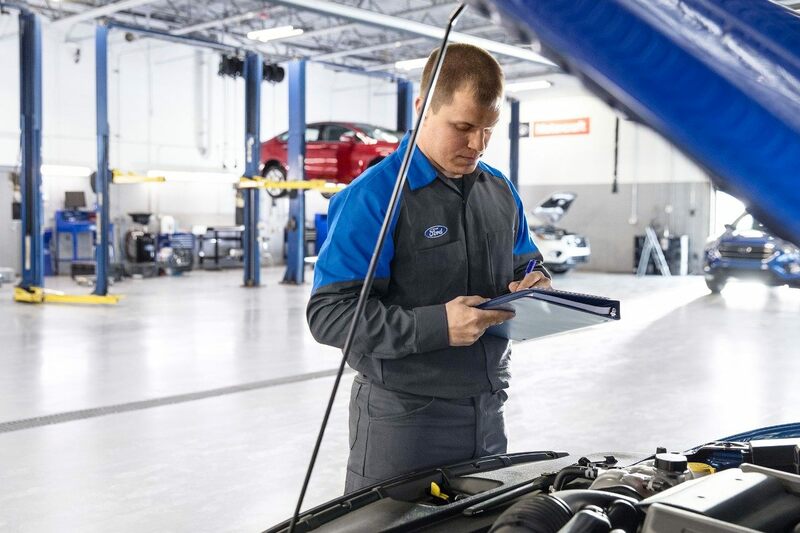 Your vehicle's health is best provided not just by sticking to the manufacturer's recommended service schedule but also by working with Ford-trained technicians. At Roesch Ford's service center near Schaumburg, IL, we use only genuine ford parts and factory techniques. This ensure each service and repair lasts longer, costing you less over the life of your vehicle. To help make your service scheduling easier, we offer an online service appointment form, and to help you save even more, we offer an Owner Advantage Rewards program. Your membership will allow you to collect credit toward future visits and gain access to exclusive service deals. Need it done fast? Our Quick Lane service near Schaumburg, IL provides rapid service on routine maintenance, such as tire replacement, oil changes, battery tests, pre-trip inspections, and more. In the event of an accident, the Roesch Ford collision center can make your car look fresh off the factory line. We can restore your frame and body to manufacturer specifications and refinish paint with advanced PPG color matching technology. Our dedication to affordability doesn't stop at our low vehicle prices. We combine our own dealership-exclusive specials with manufacturer rebates to ensure you get the best deal in Schaumburg, IL. All of our specials are limited time offers, so keep an eye out for a deal that can help you save on your Roesch Ford experience. Why Test Drive a vehicle from Roesch Ford near Schaumburg, IL? Our family-owned new & used car dealership is centrally located near Schaumburg, IL. We are a top-rated dealership thanks to our commitment to friendly customer service, unmatched deals, and the area's widest selection of quality Ford vehicles. Across our sales, finance, and service teams, we have hand-selected the most experienced members to assist you in your car-buying process. 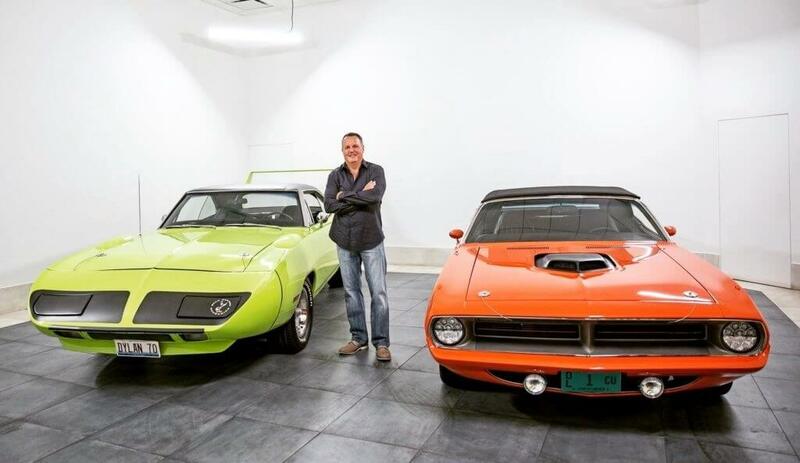 For nearly 100 years, the Roesch legacy has proven that buying a new or used car can be an enjoyable experience. We invite you to see the Roesch Ford difference!